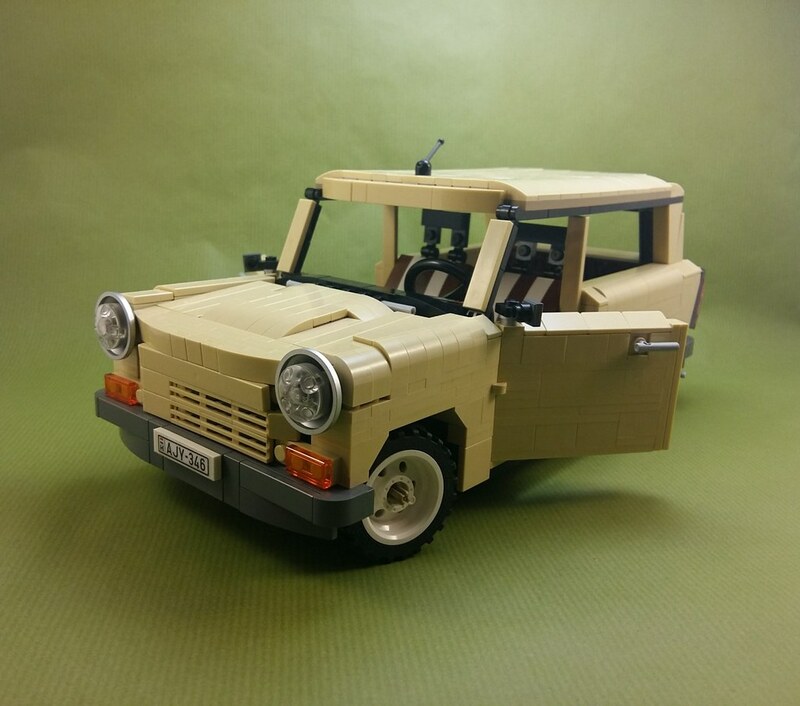 This is an attempt to model a cool, nostalgic car from Eastern Germany, the last model of the Trabant factory in Zwickau. I have created this model as a birthday gift to my best friend who used to drive us around in a car like this in his early twenties. 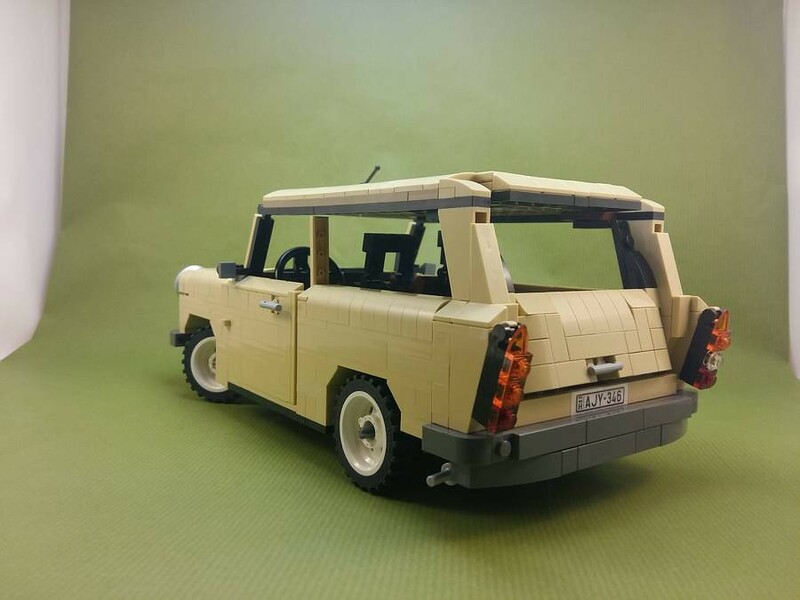 If you like this MOC, you can suppport it on the Lego Ideas site - thanks! It looks really nice and sleek. Awesome job! I love that you have made a half-plate offset on the headlights, and I can see you are favoring sturdiness instead of closing that thin line below. That is probably something LEGO would prefer as well if you get it through LEGO ideas. 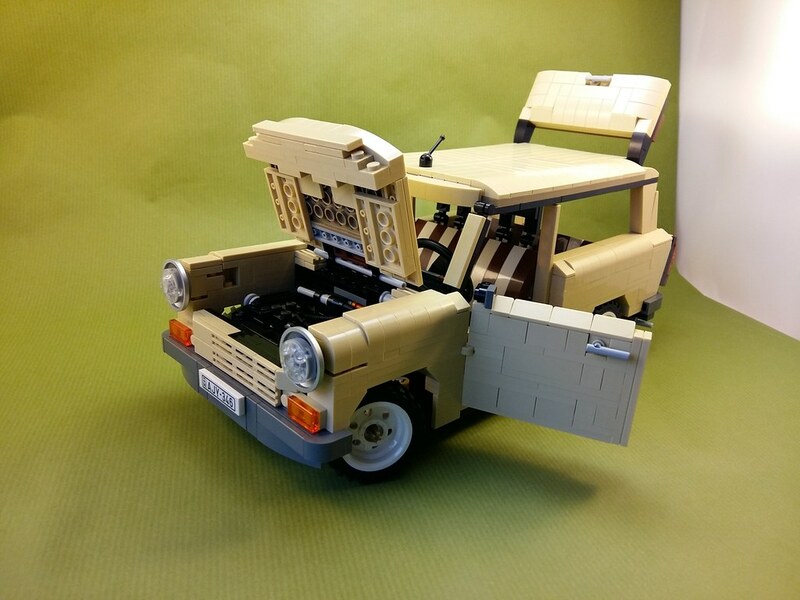 Very nice Trabi and looks like a official creator set, but then with stering. This made me smile. I remember those horrible little cars. Best of luck on Ideas, it's got my vote. Simply amazing ...the back lights attached to the slope piece are great! I love this , my pal drove a real Trabi back to the U.K from Germany , it had a metal tray for a Paraffin fueled cabin heater in the dash-board!....maybe an L.E.D. in the dash could mimic this weirdness!! !....nah, only joking! 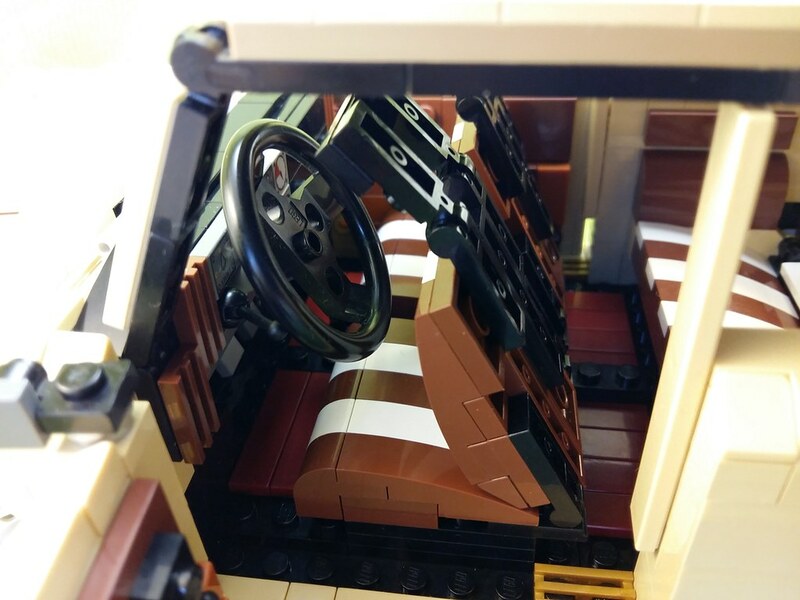 !..this is an amazing build, I can`t honestly see any way to improve it...thanks for sharing. Already supported on Ideas - very nice model!